In 2018, PACCAR Australia partnered with Cancer Council to focus some of our community and charity efforts through one national organisation. This concentrated approach provides the extended PACCAR Australia family of dealers, employees, customers and suppliers the opportunity to engage with this cause and raise funds to support work towards a cancer-free future. We all know someone affected by cancer. In Australia today, there are more than 1.1 million people either living with cancer or who’ve survived a diagnosis. 1 in 2 Australian men and 1 in 3 Australian women will be diagnosed with cancer before the age of 85. It’s a disease that doesn’t rest, and for that very reason, neither does Cancer Council. As Australia’s peak national non-government cancer control organization, Cancer Council’s vision is to minimize the threat of cancer to all Australians through successful prevention, best treatment and supportive care. 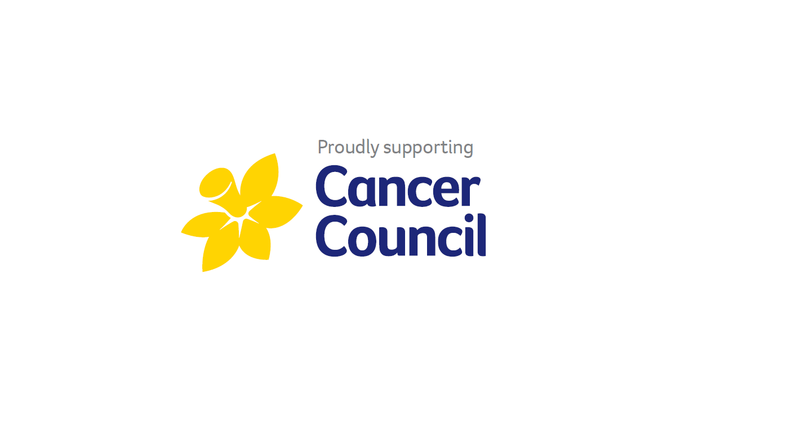 Cancer Council funds more ground-breaking cancer research than any other non-government organization in Australia and provides prevention programs and support services for anyone affected by cancer and advocacy. Cancer Council in Australia provides prevention programs and support services for anyone affected by cancer. The not-for-profit organisation funds more ground-breaking cancer research than any other non-government organisation in the country. PACCAR have been involved in a range of activities to support Cancer Council throughout this year including hosting the Biggest Morning Tea where employees donated to Cancer Council and received a wide range of morning tea items as well as multiple bake sales where employees contributed baked goods for sale at morning tea with all the profits going to Cancer Council. A number of employee engaging activities are sure to bring more awareness and much needed donations to help support Cancer Council. We are already well on the way to meet our donations target of $100,000 thanks to the generosity of our dealers, PACCAR and Cummins at the program lunch, and the introduction of our workplace giving facility for PACCAR Australia employees. PACCAR Australia is dedicated to providing support to charities such as Cancer Council and continually strives to provide ways to get involved and help with organisations that are close to home for a lot of our employees.